To complete a working design, you need to run a series of signoff checks before you can call it done. The best designers already know what errors the analysis tools will throw at them before running signoff checks. 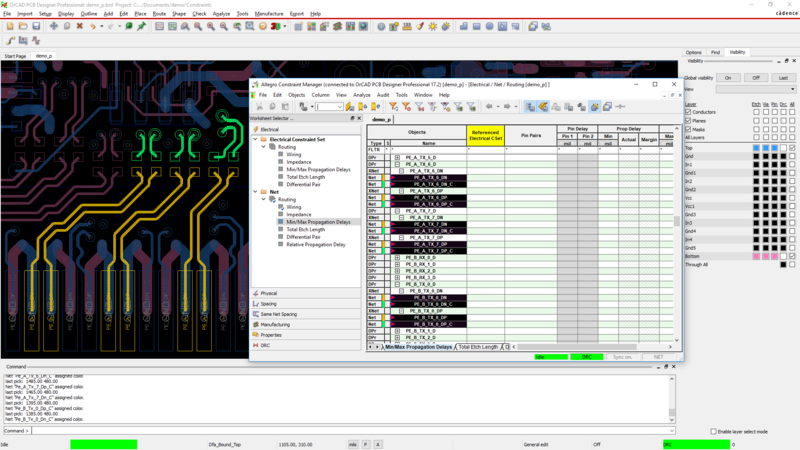 The New OrCAD and Real-Time PCB Design makes it possible for everyone to design high-speed boards, for everyone to be improve the manufacturability of their designs, and for everyone to create the next generation of high-performance high-density electronics. Use real-time design insights in OrCAD to go from prototype to production in less time, with fewer respins. 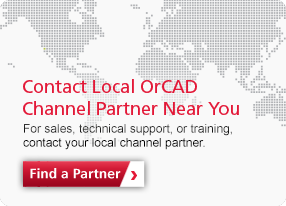 OrCAD is the best PCB design tool for high-speed designs. 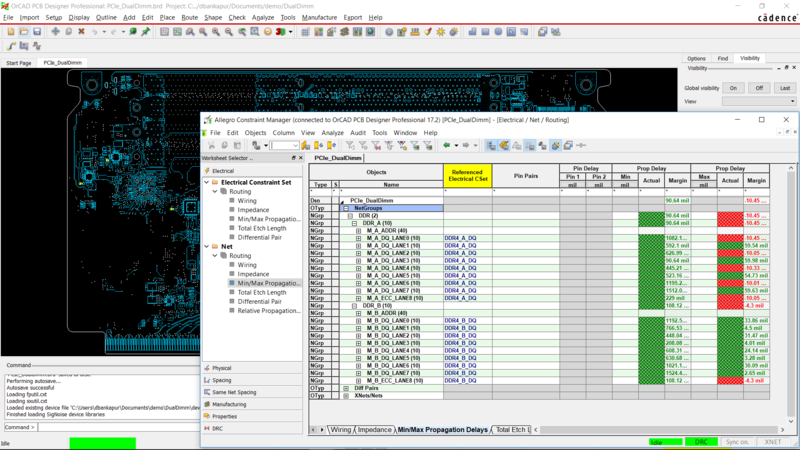 Packed with industry-leading technology from Cadence, you can complete your complex high density and high-speed designs in a fraction of the time with automated real-time signal-aware analysis. Nested Net Groups allow you to create hierarchies within your design for better organization. For example, in terms of DDR, you can further group your signals into byte lanes. Easily constrain your entire XNet from driver to receiver through a discrete component such as a resister. Get accurate measurements of a component and copper spacing in the natural and intuitive Interactive3D canvas.